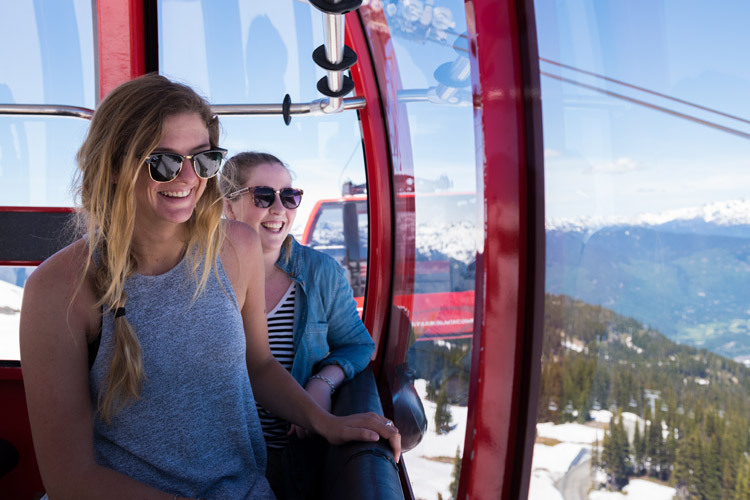 Winter is awesome and fresh powder is always good but even the most die-hard Whistler skiers and boarders get a little excited when the sun burns through for some bright, warm spring skiing followed by some brighter, warmer springtime patio sessions. 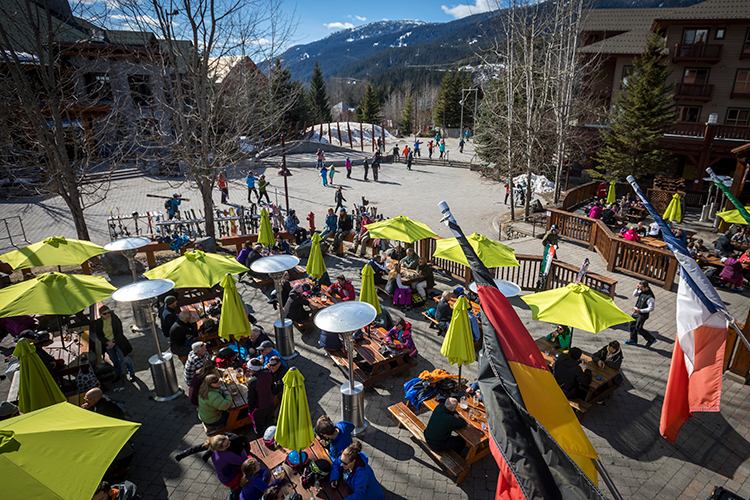 Late March and April is when après truly becomes an art form and post-day celebrations get taken outside and onto the patios. 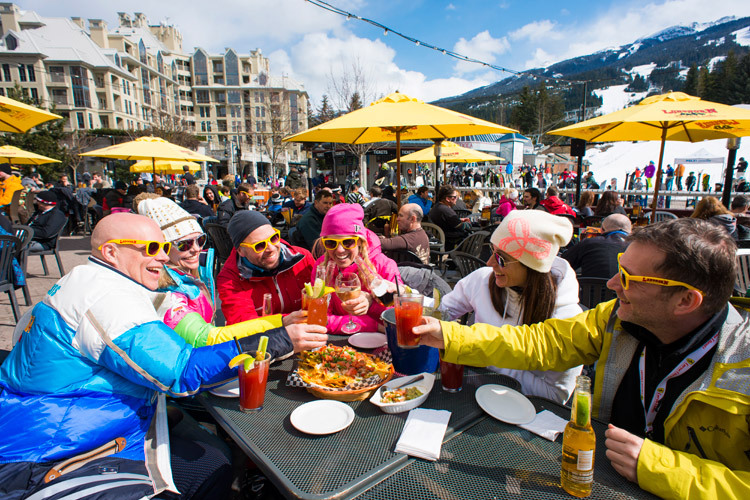 To celebrate the longer, warmer days of spring The Insider presents an entirely subjective list of Whistler’s Winning-est Après Patios. It’s a subjective list because we’re all big winners this time of year and every patio session has the chance to be ‘best ever’ because patio-ing is all about who you are with as much as where you are. Let the games begin. 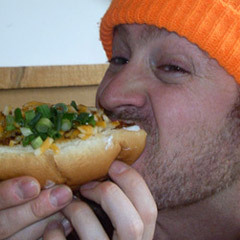 The Garibaldi Lift Company patio is large, ski-in-ski-out, and often features some of the best après music in Whistler but the real selling point of this place is the staff. The GLC staff are consistently among the coolest in town and they are always able to facilitate a smooth and enjoyable patio session regardless of how busy things get. And at the World Ski & Snowboard Festival there is no better spot to watch the action. The Longhorn patio is ridiculously close to the slopes so you can literally grab people as they get off the mountain and pull them onto your patio party. 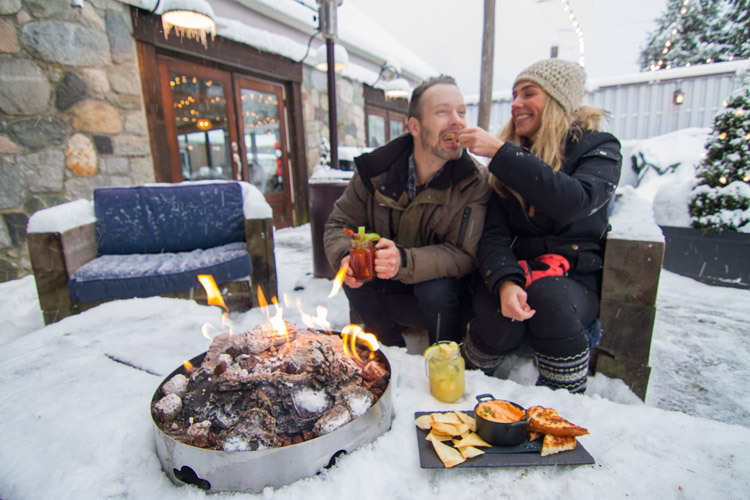 The Longhorn is often voted Top-Après bar in North America and this is one of Whistler’s largest patios — ideal for après-ing with large groups. 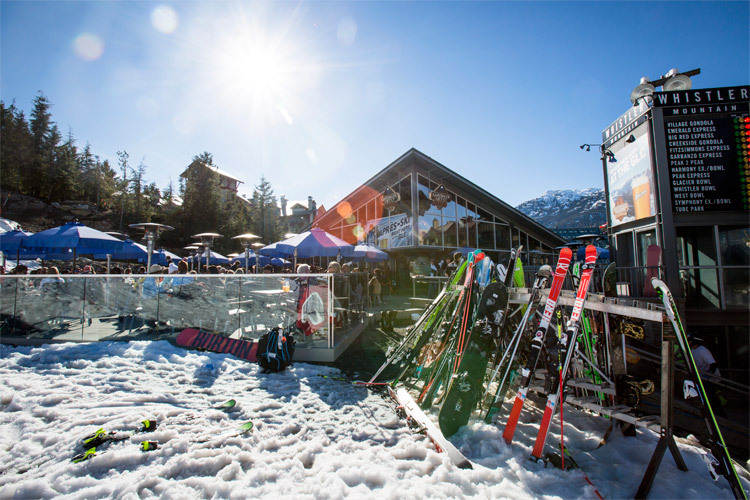 Located at the base of the Wizard Chair at Blackcomb, Merlin’s is classic ski town-esque venue complete with a DJ booth in a gondola and lots of live music on a patio that doesn’t get as busy as some of the village venues. The nachos here are massive and properly layered (cheesy from top to bottom) plus kids are allowed to join the party until 7 pm or they can run around and play at the base of the Magic chair, in clear view of the patio. A new addition in an old spot (the legendary Citta’s patio in Whistler Village Square), The Beacon is a short walk from the ski slopes but thier patio offers 270 degree views for people watching. 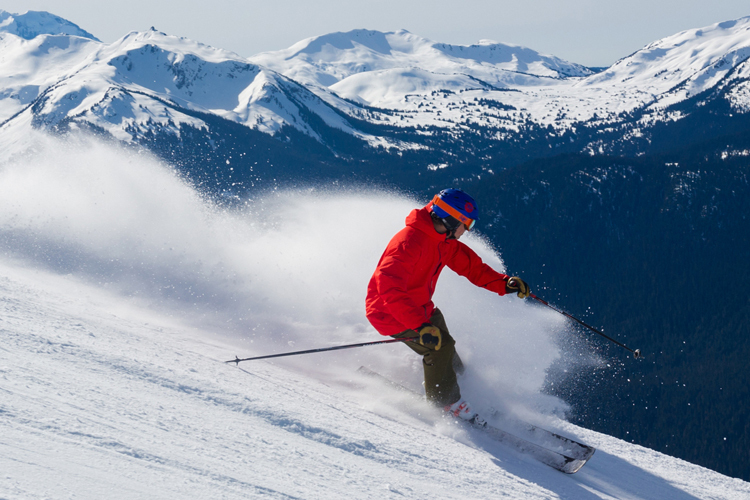 This location has truly been the heart of Whistler Village since day one. Plus the strip of tables along the western edge gets sun later than many other village patios. Usually known for the good times to be had sitting at their bar, Earls also has a nice elevated patio that also gets late-afternoon sun and is great for a more isolated, away-from-it-all après experience. Spring IS patio season but it’s also the Stanley Cup Playoffs and the Amsterdam is special because they’ll pull down a video screen and project hockey games in the corner of their heated patio. (For Vancouver Canucks games they’ll even turn on the sound, it’s like a tailgate party every second night.) The ‘Dam also has some of the sassiest and best-looking servers in town just make sure to mind your ‘Dam manners. Another slopeside patio, the Dubh Linn is famous for their live music (mostly Irish drinking ballads and songs with a lot of violin) and hearty food. But the jerk chicken wings are amazing and that spicy greatness goes perfect with all of the Dubh Linn’s old-world beers and extensive scotch list. Another great venue for scotch lovers, Blacks offers a two-tiered patio with incredible views of the mountains and all the main WSSF events. Plus, you can literally look down on two other patios from the upper deck like you are the king of the castle. It feels good. Wine, cheese, charcuterie as well as a heated undercover patio with top notch people watching seats. Basalt is a newer edition to the scene that is worth a look. Creekside’s biggest and best slopeside patio, Dusty’s is where the entire Whistler après and patio scene was born, and where it first flourished. This patio is a real springtime hot spot because they get nice late sun and the BBQ is amazing. Top to bottom laps on the hill followed by “bottoms up” on Dusty’s patio is about as good as spring in Whistler gets. Their patio is small but intimate and a nice place to escape the hustle and bustle and avoid the weekend crowds. Great food and non-intrusive, old-time local staff make this a perfect patio for first dates. Obviously this is only a partial list, and there really is no such thing as a bad patio. For maps to some of these après hotspots go here. Have fun, play safe, and stay hydrated.